Colorado fan and reader MK send me this great picture from the game on Saturday. 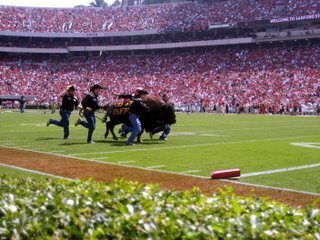 Like Ralphie, he and his crew made the long trip to Athens, and were extremely impressed with the wine, women, and song on offer in the Classic City. 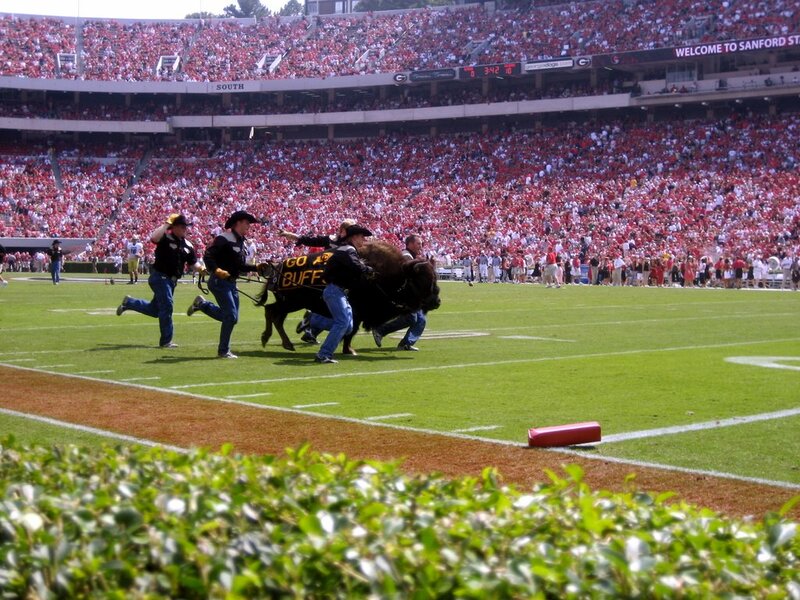 There are a couple of homemade vids of Ralphie's run up on YouTube here and here.